From "CGN 9 Long Beach Program"
Built in Bethlehem Steel Company's Fore River Shipyard at Quincy, Massachusetts, the ship's keel was laid on December 2, 1957. The world's first nuclear-powered surface warship, the guided missile cruiser USS Longbeach got underway on nuclear power for the first time on the morning of July 5, 1961. 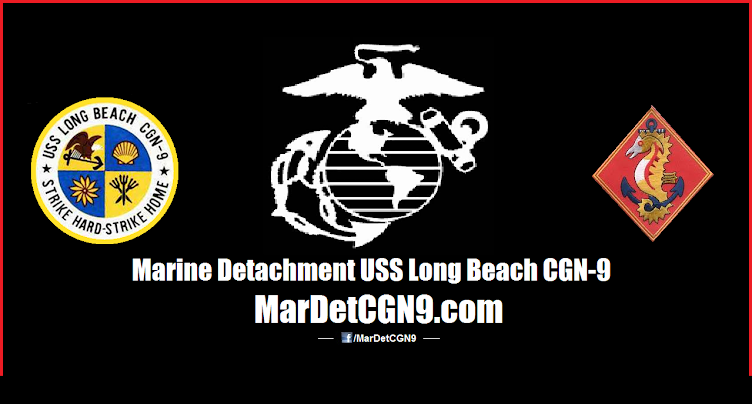 The Long Beach, now designated CGN 9, was commissioned at the Boston Navy Shipyard September 9, 1961, the same year as Enterprise CVA(N) 65, the world's first nuclear carrier. Following commissioning, the ship was homeported in Norfolk until early 1966 when the ship was transferred to the Pacific Fleet. 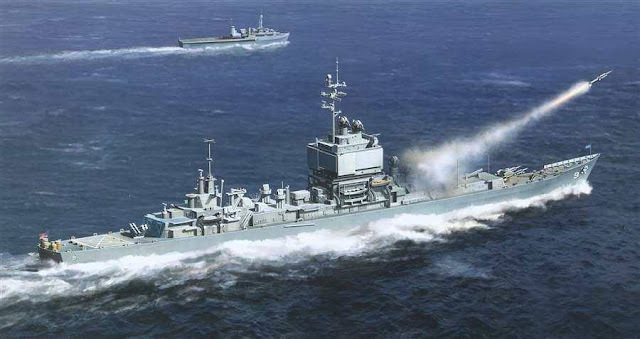 A pivotal incident occurred, affecting Long Beach as well as future CG/DLG designs, when the new frigate Dewey (DLG 14) was assigned to shoot down a propeller drone during a fleet review that was witnessed by President John Kennedy. Three Terrier missiles were fired at an approaching drone but all three missed their target. Kennedy was alarmed at this failure and personally ordered the new missile cruisers to be equipped with guns. A ship alteration in 1962 - 1963 added two 5-inch/38 single gun mounts. The 5-inch/38 guns in single mountings looked quite antiquated on such missile ships as Albany and Long Beach, but the old weapons did give some defense capability absent in the ship as completed. On July 31, 1964 USS Enterprise (CVN-65), USS Long Beach and USS Bainbridge (CGN-25) departed the Mediterranean Sea for a 65-day, 30,000-mile around-the-globe cruise to be carried out completely free form refueling or logistic support while operating at a normal tempo. The three ships, traveling under all kinds of weather conditions, made the 5115-mile transit from Australia to Cape Horn, South Africa at an average speed of better than 25 knots--demonstrating the capability of nuclear-powered surface ships to reinforce quickly U.S interests in remote areas and operate over great distance at high speeds with logistic support. 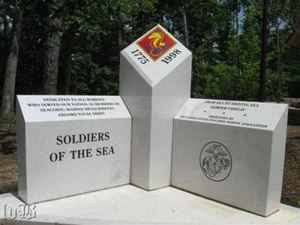 The combination of NTDS and Talos made Long Beach an effective Positive Identification Radar Advisory Zone (PIRAZ) ship during the Vietnam War. During May 1968, Long Beach was given clearance to fire on a North Vietnamese MiG. Although she missed one on 11 May, twelve days later she fired two Talos missiles two minutes apart a a pair of the enemy aircraft some 65 miles away. One MiG was destroyed by one missile and the second exploded among its debris. This was the first occasion in which a ship destroyed a hostile aircraft with guided missiles, and also the first time that nuclear surface warships has scored a missile hit against any enemy. In September 1968, Long Beach shot down a second MiG at 61 miles. However, many other Talos and Terrier shots missed. In 1974, the Navy proposed a program for a nuclear powered strike cruiser (CSGN). During the Defense Systems Acquisition Review Council (DSARC) review, the Navy was asked to provide options for retrofit of the Aegis radar (based on a phased array proof of concept study conducted by JJMA) and to examine alternatives, both nuclear and conventional, for new construction ships. At one time Long Beach appeared to be a prime candidate for Aegis anti-air warfare system because she already carried phased array radars. But her radar was primitive compared to the Aegis SPY-1, and "conversion" would have been, in fact, reconstruction. In May 1975 Congressman Melvin Price, the Chairman of the House Armed Services Committee, fired a salvo against OSD: "the committee tied the use of RDT&E funds for Aegis to your provision of a plan for a nuclear platform for Aegis .. As a start we expect to have Aegis installed promptly on the USS Long Beach". 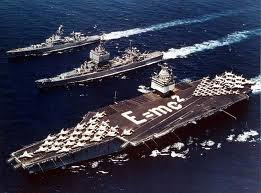 In June 1975, Senator Strom Thurmond, of the Senate Armed Services Committee, asked VADM Rickover to make his views public; Rickover responded by endorsing the House Armed Services Committee demand that Long Beach be converted and that future Aegis ships be nuclear-powered.